The war of words between AirAsia and Malaysia Airports Holdings (MAHB) continues, with MAHB serving the airline a letter of demand concerning several “inaccurate and misleading articles” published on the AirAsia newsroom. It demanded that the airline immediately remove the said articles from its newsroom and cease and desist immediately from making further “false, inaccurate and misleading statements” about Malaysia Airports. “While Malaysia Airports takes no issue with AirAsia informing its shareholders of the progress and status of court suits in accordance with the law, AirAsia has overstepped its boundaries by publishing false, inaccurate and misleading statements in the media aimed at damaging the reputation of Malaysia Airports. Following this, Malaysia Airports has no choice but to necessarily issue the letter of demand to protect its interests,” it said in a press statement. In response, AirAsia said that although it was not “surprised” by another legal response from MAHB to its press statements, it is “puzzled” that the airport operator continues to use its dominant position and the threat of legal action to “stifle and suppress” fair comments. 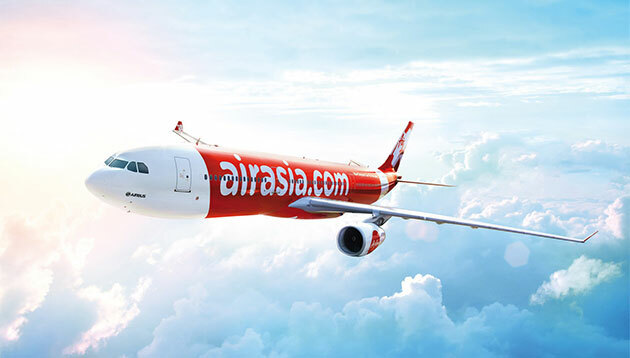 AirAsia Malaysia CEO Riad Asmat and AirAsia X Malaysia CEO Benyamin Ismail said that the team has only been responding to suits filed by MAHB over the passenger service charge. “In furtherance of open dialogue and an amicable solution, we offered to mediate as required under the Malaysian Aviation Commission (Mavcom) Act to resolve all outstanding issues; however, MAHB summarily rejected this overture,” both Asmat and Ismail added. The team will maintain its stand that a court battle will have negative effects on Malaysia’s economy and aviation industry and that the current threat of legal action is “unwarranted”. “We will avail ourselves of all avenues to defend ourselves against all actions, whether through mediation and arbitration as the law requires, or in the courts of law as MAHB seeks,” Asmat and Ismail said in a joint statement. Last month, AirAsia was looking to seek more than RM400 million in counter-claims against MAHB in response to a suit filed by the airport operator in December over airport taxes. The counter-claims were for losses and damages experienced by AirAsia and its long-haul sister airline AirAsia X due to operational disruptions at klia2. These include a ruptured fuel line and runway closures on numerous occasions. Both Asmat and Ismail also said in previous statements that travellers flying from klia2 should not be made to pay the same airport tax as those departing from KLIA due to inferior services at the former terminal. Earlier this year, AirAsia scrapped the RM3 klia2 fee for all flights departing from the terminal, following the announcement to stop charging and collecting the fee in a bid to keep fares low. This marketing and communications agency, aims to "reimagine" the current global agency model and create a marketing and communica.. If there’s one way to get into the hearts and minds of Filipinos, it is through breathtaking slam dunks and gut-wrenching buzzer b..